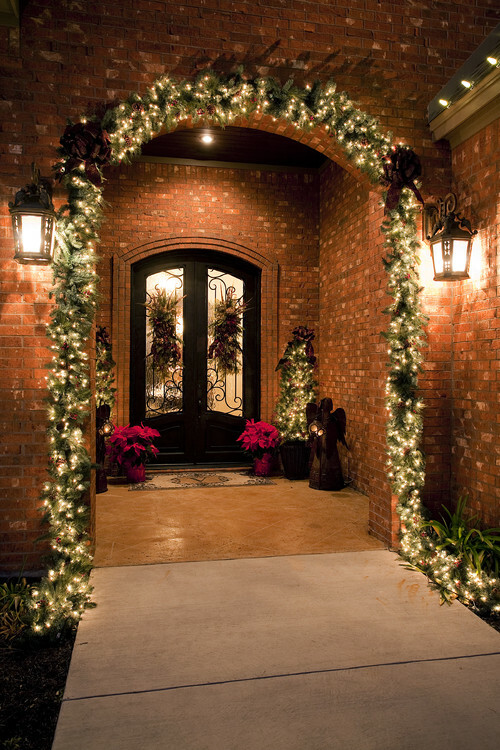 There are many different types of lights to choose from, so going to the store can be a little overwhelming. When picking your lights, make sure the strand matches the item you're going to hang them on (green for trees, white for the garage, etc). Also, don’t forget the clips to hang them with! 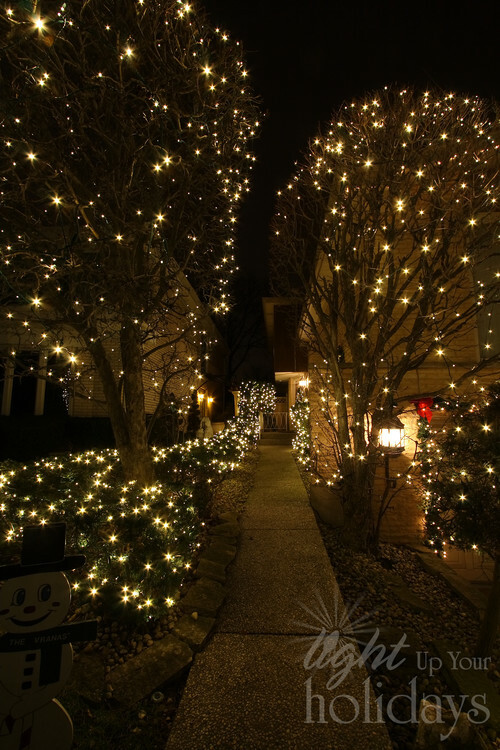 The most popular outdoor Christmas lights are C-9 and C-7. They are the traditional larger bulb lights you may be used to. These C lights can become hot after use and they consume more energy. Though, they are more durable because you can replace the bulbs as they go out. Then, there are smaller mini-lights that are extremely popular because they are cheap to buy and operate. A downside to this option is the whole strand may be compromised if one light goes out. You can also purchase animated lights for your home. Incandescent and ceramic lights are the most traditional lights. LED lights are more energy efficient. While RGB lights can be programmed to be a variety of colors. Safety is key here and you need to make sure you have the proper power supply before you decide to set up lights. Measure the part of your home that you are planning on decorating. 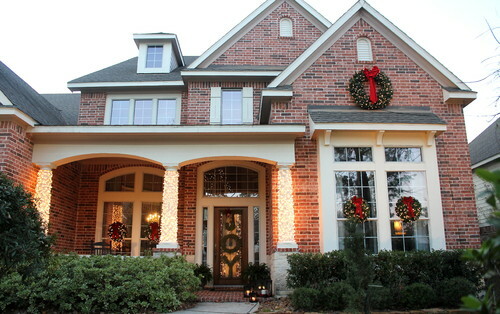 Plan ahead of time so that you don’t get half way done and run out of lights. What would be worse than hanging up all of the lights, just to find out that they don’t work? This will make the job safer and easier. The partner will also be able to guide you on how the lights look from a different angle. 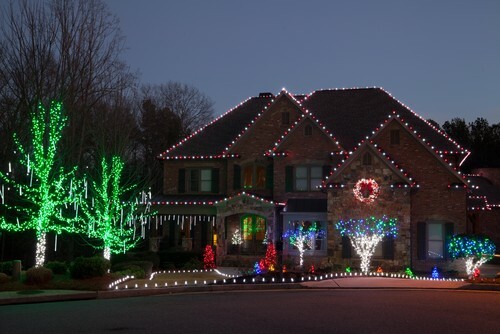 Find the area that you want the lights to be strung on and start tacking them up. Use the plastic clips found near the lights section at the store for easy adherence. This step will be better with your partner. Have them hold the end of the lights while you hold the part you are hanging. Pull the lights tight gently as you go for perfectly spaced bulbs. 7. Call the family out and admire your work! If you’re feeling extra lazy, a great hack is to decorate your indoor Christmas near a window and then open the blinds so it can be seen outdoors! Before you start wrapping, plug in the lights to make sure they work. Next, start at the top of the tree with the end of the lights that does not have a plug-in. Then move your way down the Christmas tree, making the space between each wrap even. If you run out of lights, connect another strand and continue until you reach the bottom. Plug them in to see how they look before you move to the next step. If you are doing a tall tree, you will need a ladder to reach the top. A fast way to do a bush or a small tree is to buy net lights. Net lights come lined with lights on a big surface. It makes it as easy as throwing a blanket over the bush but looks like a lot of hard work. 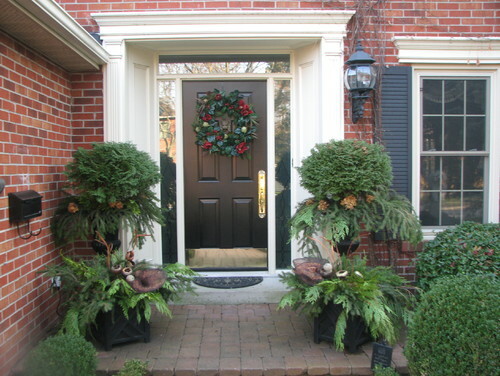 Decorating the exterior of your home can be a lot of work, but the payoff is great. 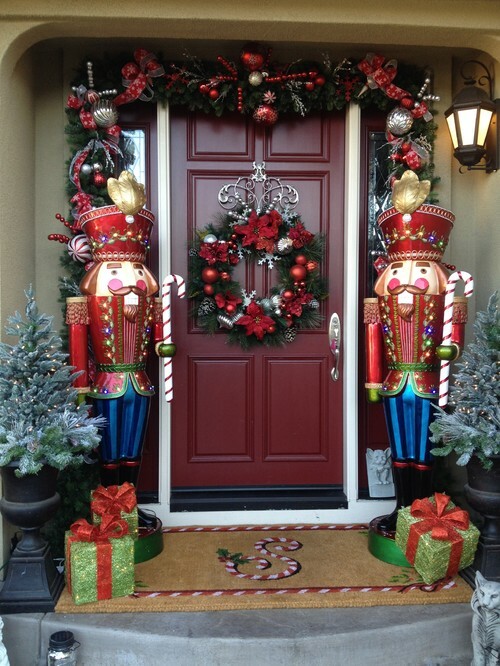 You will bring joy to yourself and your neighbors for the rest of the season. Just remember to take them down in a timely manner (usually around January 6th). Happy Holidays!